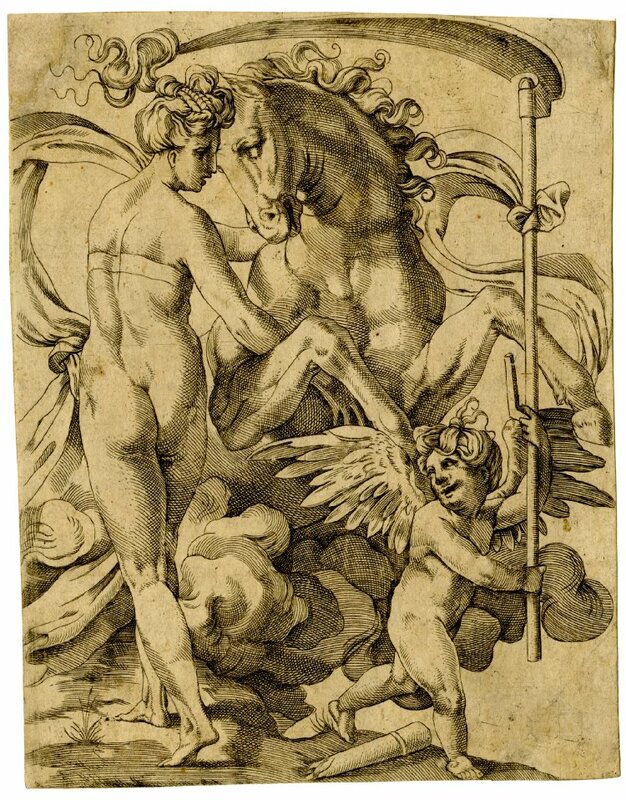 On the following copies of the Pluto and Proserpina and the Saturn and Philyra of Caraglio’s Loves of the Gods, see under E.46-47. E.123, 1 – 2. 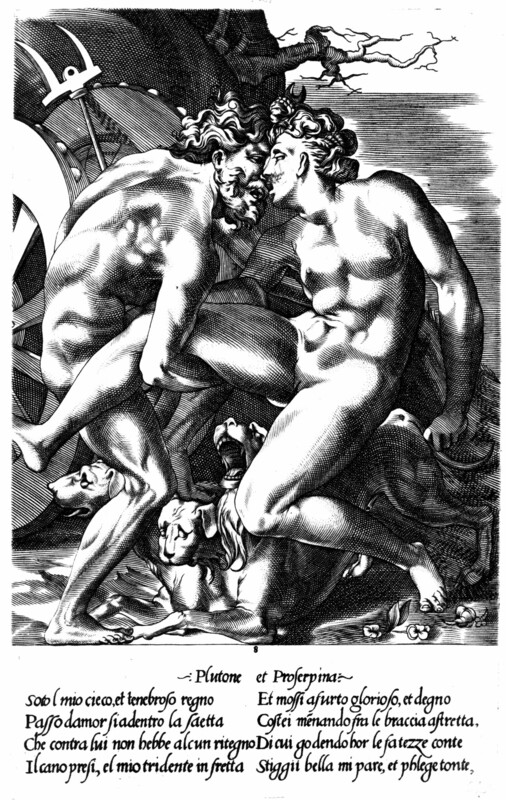 Pluto and Proserpina (Fig.123, 1, Chatsworth) and Saturn and Philyra (Fig.E.123, 2, Chatsworth). 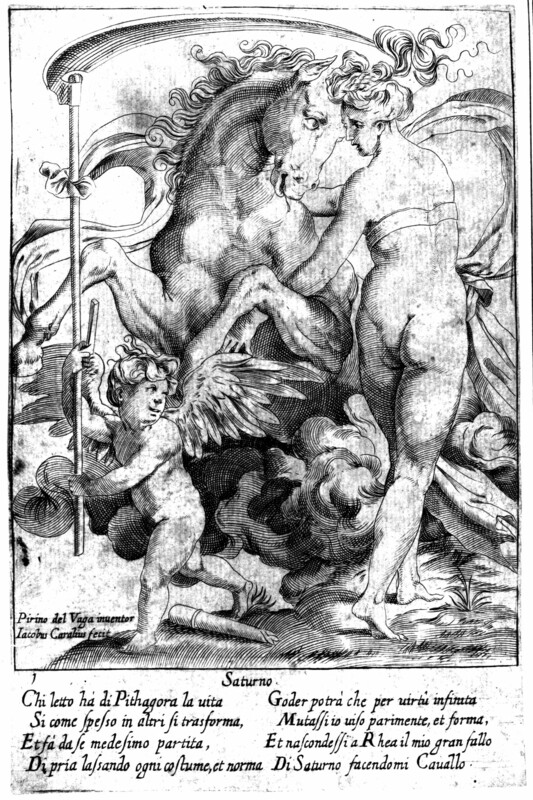 Of the so-called Milan-Boyvin set of the Loves of the Gods, of twenty prints, with inscriptions in Italian. E.124, 1 – 2. Pluto and Proserpina and Saturn and Philyra. Of the set of smaller copies of the Loves of the Gods, apparently of twenty prints, with inscriptions in Italian. E.125. Pluto and Proserpina. 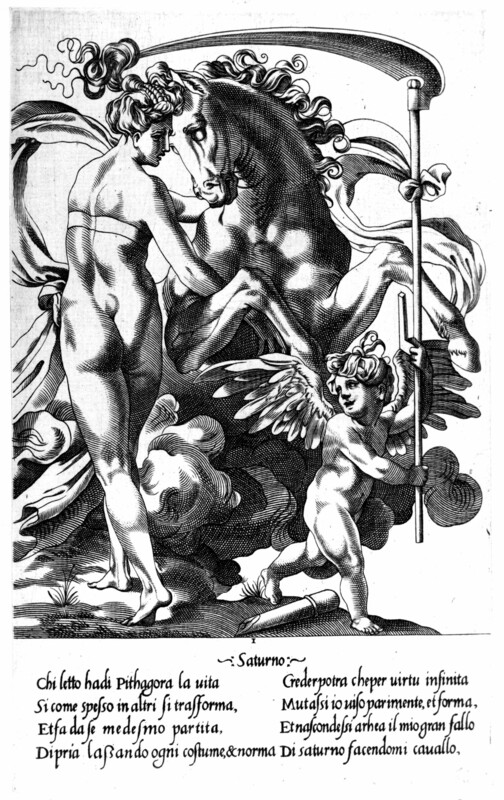 Of the so-called Du Cerceau set of the Loves of the Gods, of seven reversed engravings, with inscriptions in French. E.126. Pluto and Proserpina. Copy in Berlin. E.127. Pluto and Proserpina. Copy in the Ashmolean, Oxford (Fig.E.127, Oxford). E.128, a and b. Saturn and Philyra. Reversed copy, with inscriptions in Italian; two states (Rome), one inscribed to Caraglio, the other inscribed to Caraglio and Perino del Vaga (Fig.E.128a, Rome). E.129. Saturn and Philyra. 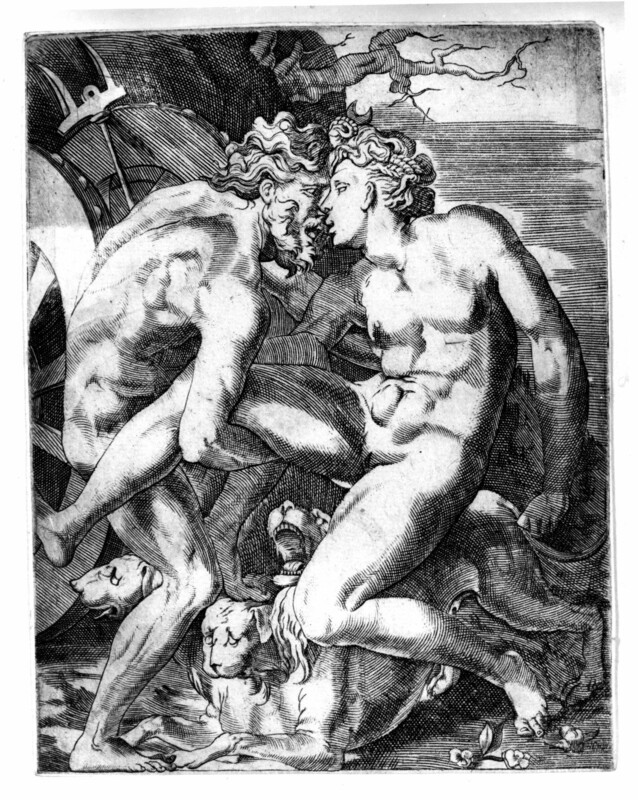 Copy in London, differently and irregularly engraved (Fig.E.129, London).